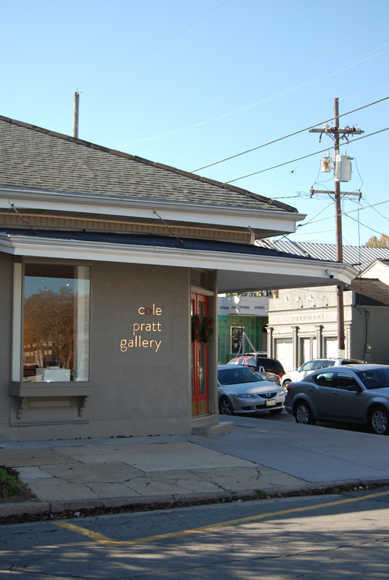 Cole Pratt Gallery is a contemporary fine art gallery specializing in the works of Southern artists. Founded in 1993 by the late Cole Pratt, the gallery's legacy continues under owner and longtime director Erika Olinger. Exhibitions are curated once a month with one featured artist in our cornerstore gallery. Additional gallery rooms showcase the rest of the artists in our stable. Please reference the "Exhibitions" menu on our website for our annual exhibition line-up. Opening receptions are typically held on the first Saturday of every month, from 5:30 to 8 pm. Exceptions to this rule are always posted under "Future Exhibitions," and on our Facebook and Instagram sites. Located in Uptown New Orleans on historic Magazine Street at the corner of Peniston Street, between Louisiana and Napoleon Avenues. Approximately 3 miles towards Audubon Park from Downtown. Situated in the heart of the Magazine Arts District. Tuesday - Saturday from 10 - 5. Prospective artists are encouraged to send materials to Cole Pratt Gallery in a digital format. Submissions may be sent to info@coleprattgallery.com, or CDs and DVDs may be mailed to the gallery to the attention of Cristin Cortez. Review of digital submissions occurs once a month. Please be respectful of regular business operations and do not walk in unannounced with your artwork. Copyright for all images remains with the individual artist even if a client has purchased the work of art. Reproduction is prohibited by copyright laws and international conventions without the express written permission of the individual artist. If an image is under consideration for home interiors magazines or blogs, permission from the artist is required. Contact the gallery for more information.